Our fine corn meal is ground on a set of millstones, the same way it was in 1757. 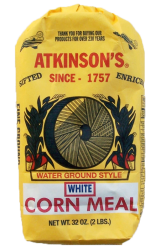 The best fine, stone ground cornmeal is only produced in the Eastern Carolina’s area, but it makes the very best cornbread. 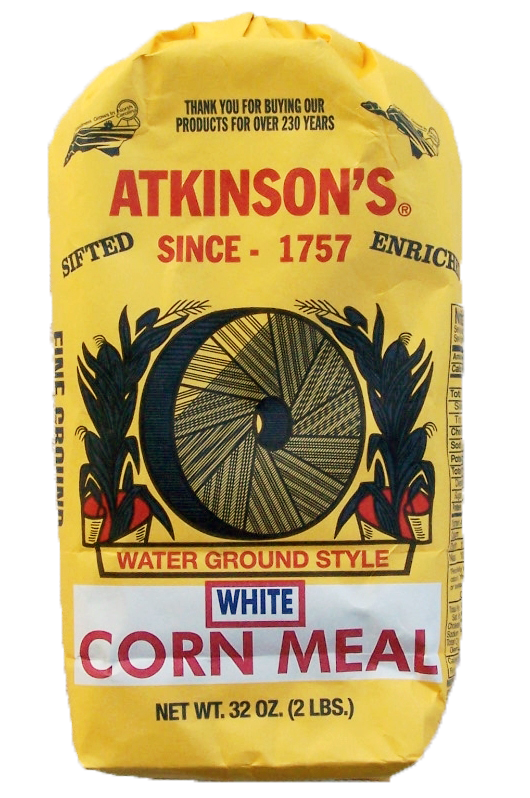 Whether you’re preparing hushpuppies, old-timey hoecake, muffins or just plain pattie cake cornbread in a pan, Atkinson’s fine stone ground cornmeal will give you light, tender, tasty cormbread everytime. It’s the #1 choice of cornbread lovers in the South. Recipes are on the bag.